Epsom Players, formed in 1911, is a well established and highly regarded amateur dramatic society. Annually, we produce plays and musicals performing to audiences both on the main stage at Epsom Playhouse and in other community theatres. 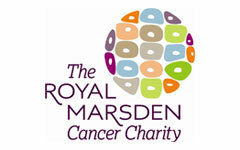 The society also supports the local community by raising funds for charity each year. If you would like to become a Corporate Sponsor of Epsom Players or require more information please complete the form and our Membership Secretary will be in contact with you.